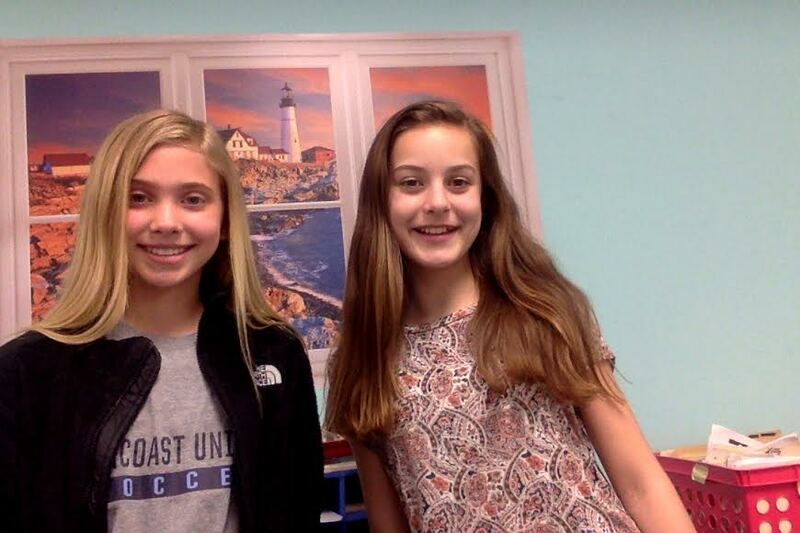 York Middle School is proud to announce that two sixth grade students have placed in “Letters About Literature” writing contest, sponsored nationally by the Center for the Book at the Library of Congress and administered locally by the Maine Humanities Council. Out of a field of over 1,000 participants, Lucy Sarno was selected as a semi-finalist, and Macy Young won first place in her age division. ​“Letters About Literature” is a reading and writing contest for students in grades 4-12. Students are asked to read a book, poem or speech and write to the author (living or dead) about how the book affected them personally. Lucy chose to write about the novel When You Reach Me by Rebecca Stead, and Macy wrote about a book of poetry titled Brown Girl Dreaming, by Jacqueline Woodson. Macy’s letter will now compete at the national level, where she will be eligible to win a $1,000 cash prize, as well as read her letter to Ms. Woodson. Congratulations to both young writers for their outstanding effort and achievement!